Hair loss is a stage that every woman goes through after pregnancy. It can begin as early as 2 months postpartum and the crux of hair loss comes 3~4 months after giving birth. This annoying post-pregnancy symptom would supposedly fade away in 6 months as your hormones stabilise, but what happens if it doesn't and your hair fall continues on? Read on to find out how to tackle this pesky drain-clogging problem once and for all. It feels pretty sad to stare at your drain after having taken a shower, and see a bunch of your hair clogging up the drain cover. You pray for the speedy arrival of the day when this problem would go away. 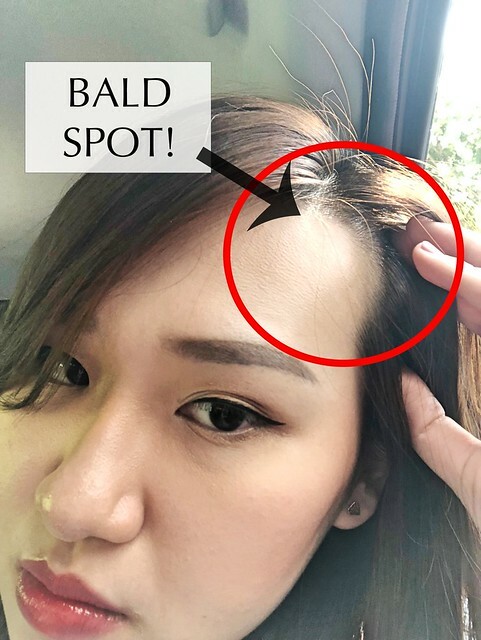 You do your best to hide your bald spots, flipping your hair in every way possible just to cover the areas on your head where hair loss has occurred the worst. One day becomes two, two days become four. Weeks and months passed and hey, it has been more than six months and that day of hair recovery never came. This is when the alarm bells in your head should begin to sound — it is time to seek help ASAP! 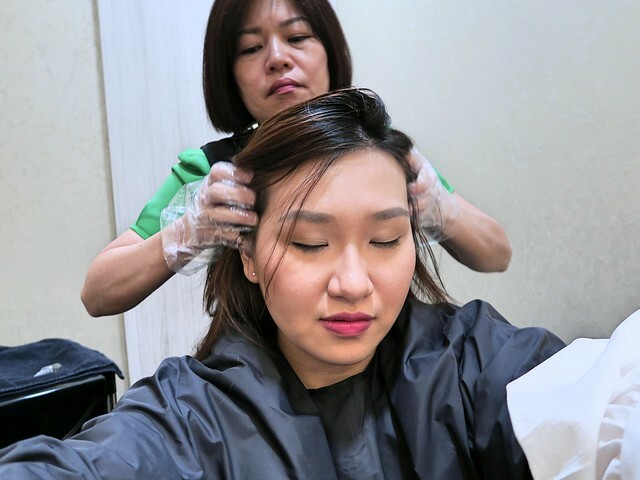 I am making this hair loss matter sound important and urgent because it is truly an issue that requires your immediate attention and treatment. 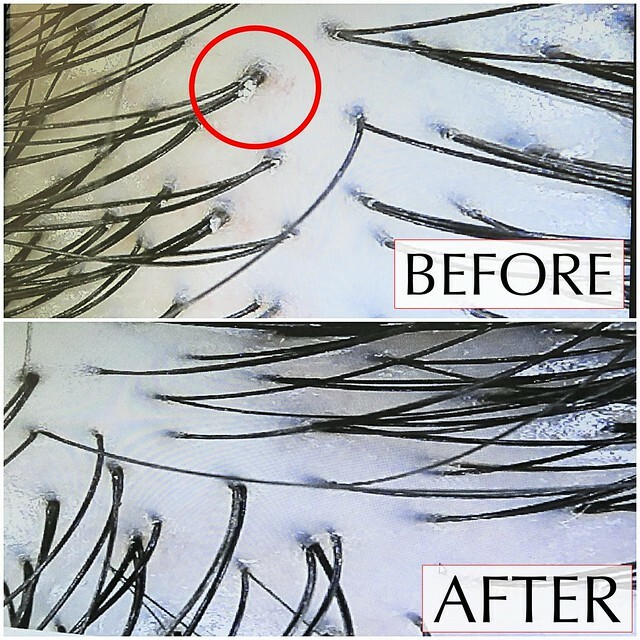 The earlier that you seek help for it, the more hair follicles that you can save! Most people just wait and wait. And they don’t realise that they are losing precious time and even more so, extremely precious hair follicles! Once you’ve lost a hair follicle, you can never get it back — which also means that you have eternally lost all hair that can be produced and grown by that follicle. Postpartum hair loss after six months is more than just an imbalance of hormones. You can be suffering from issues such as a sensitive scalp, dandruff, oily scalp and many other problems that developed over the course of your pregnancy or after birth. Making and taking care of a baby puts so much pressure on our body, and many bodily changes cannot be seen with our naked eye. 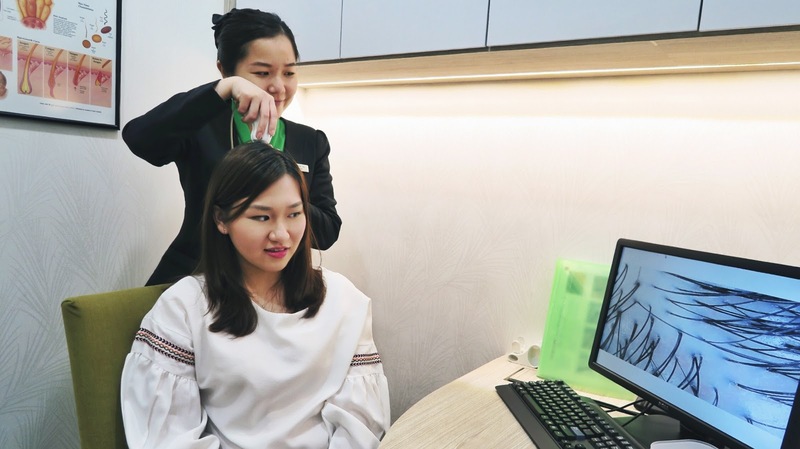 At Beijing 101, the hair consultant will do a thorough check of your scalp and the condition of your hair. 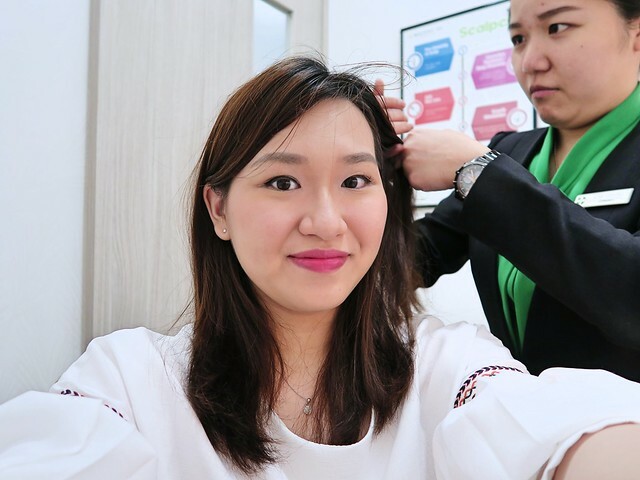 During my consultation, I found out that I had developed scalp sensitivity – a problem which did not exist prior to my pregnancy – and my scalp was a whole lot oilier than before! I was prescribed with the following treatment steps. My treatments began with a customised hair mask based on the condition of my scalp. 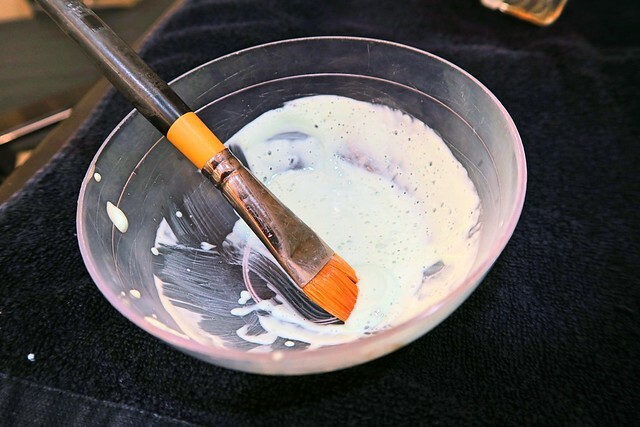 In this instance, I was given a Double Cleansing Hair Mask to help with my oil-clogged scalp. 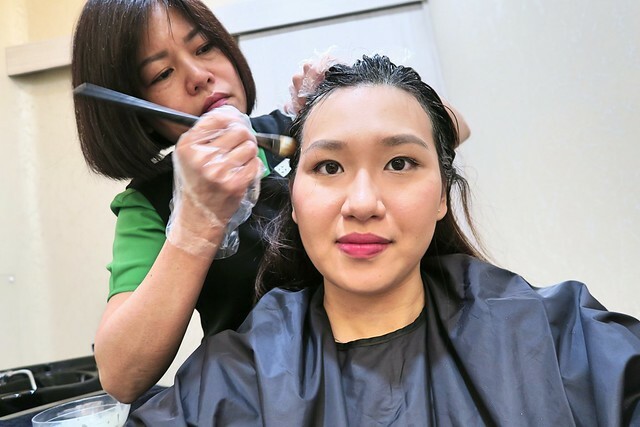 My customised hair mask treatment began with a scalp purification essence to help soften the stubborn sebum that was embedded deep into my hair roots. 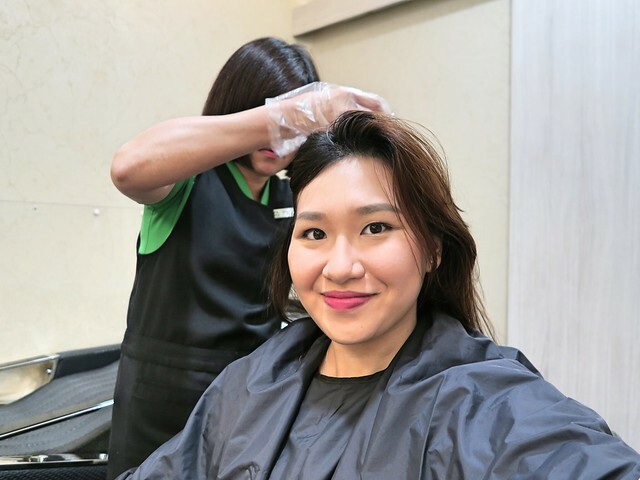 After the softening, my hair specialist applied their PuriScalp Mask into my hair – a deep cleansing mask which helps to remove sebum clogs and impurities in my hair follicles, detoxify the scalp, provide nutrients to my hair follicles and lastly balance the level of oil secretion in my scalp. The second step of the treatment is their famous Signature Meridian Hair Treatment. The head massage (with a hair essence) can not only improve blood circulation to promote healthy hair growth, it can also improve sleep quality and relieve headaches. After the hair treatments, I was guided into the consultation room of their in-house TCM physician. She provided me with advices and tips on how to care for my hair and promote its growth. She questioned about my day, took my pulse and asked me a little bit more on my diet. The TCM Phyisican advised me to take better care of my liver as it was very heaty from my lack of sleep – #MiniChew, see you gotta let mommy sleep more! She also advised me to take my meals regularly, cut down on supper and my daily salt intake so as to reduce the amount of oil secreted on my head. 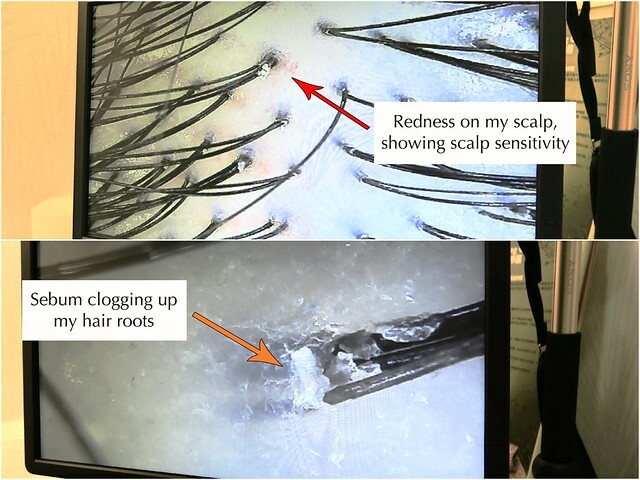 I returned back to the main consultation room for a final scan of my scalp, to see the condition of my hair + scalp after the treatments. Here is a before-after photo of my scalp. The treatments were extremely effective in removing my stubborn sebum and it helped to unclog my hair follicles. With repeated sessions, the treatments would be able to help promote hair growth in the follicles and improve the quality of hair produced. when you click HERE to book an appointment at your nearest Beijing 101 outlet. Gotta admit, I love surprise boxes! And so do many of us, especially when the deal is superbly awesome. LAZADA is back again with their second round of surprise boxes for this year and I am excited to share my finds with you. Read on to know what I’ve uncovered in my LAZADA x Hasbro surprise box! Lazada’s GSS has begin, and their baby fair segment will be happening from 4-10 July 2018. Grab this opportunity to shake your way up to $150 worth of vouchers! With more than 300 flash deals happening during the fair, you should stay glued to your phone all day — or you might missed out on some awesome timely deals! Most importantly, and probably what you are looking forward to the most! Lazada’s various brand surprise boxes that are selling at $29, and filled with goodies worth $100. In this Lazada GSS: Baby Fair, you can expect brand surprise boxes from PUKU, Philips Avent, 1010 Mother and Child Essentials, Motherswork and of course, Hasbro! As you can tell from the title, LAZADA sent me a Baby/Kids Hasbro surprise box for little Ethan! 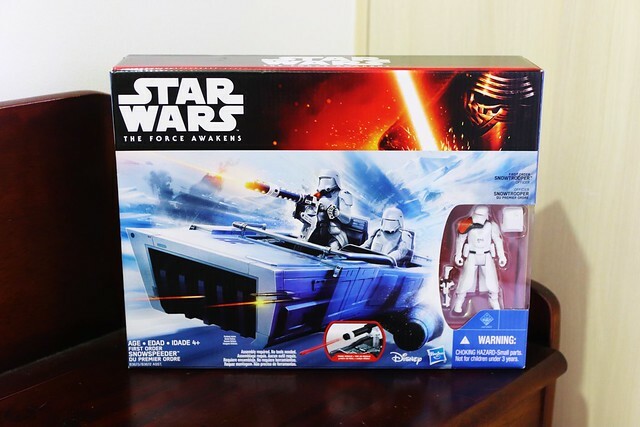 Hasbro is one of the leading toy manufacturers in the world hence this box is as expected... filled with toys. 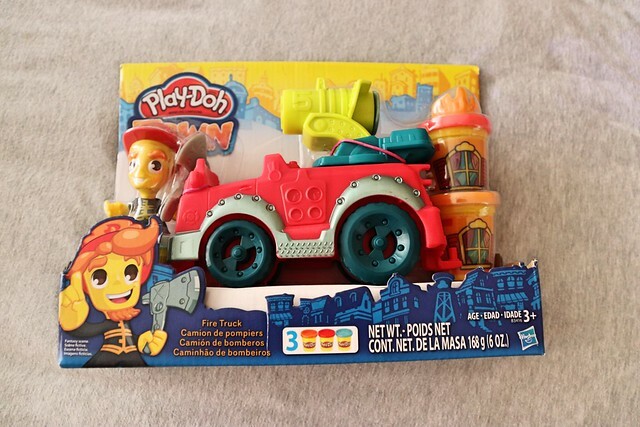 Out of the X number of toys in the box (I’m sorry guys but I have been received instructions to not reveal the exact number! ), these two were our favourites. Do note that the GSS LAZADA surprise box is available only via their app. You can download it here for Android and here for Apple devices. LAZADA “Baby & Kids” Surprise boxes will be sold from 4 July to 10 July 2018. The Lazada x Hasbro Surprise Box will be released for purchase on 6 July at 0000 hours. So, fastest fingers first! 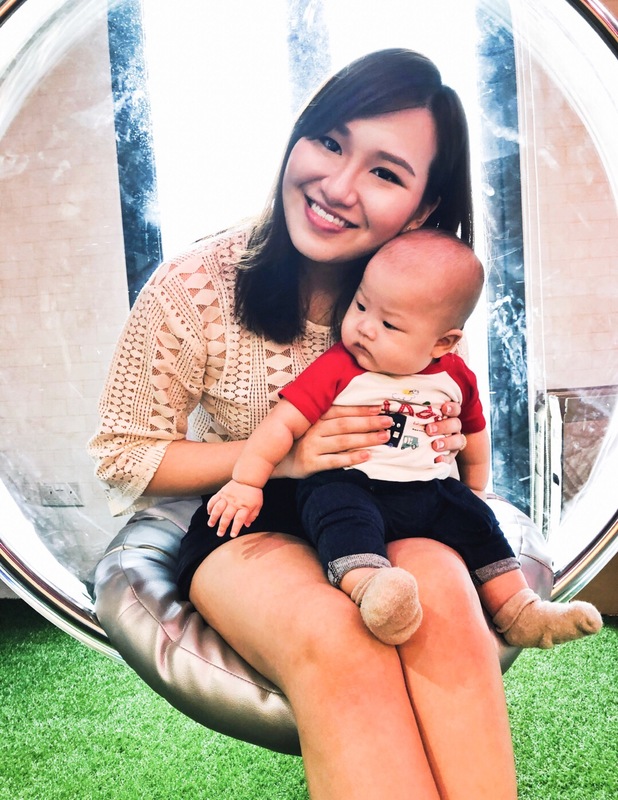 Click here to head over to Lazada GSS 2018 Baby Fair!